Need inflight catering in New York / New Jersey? 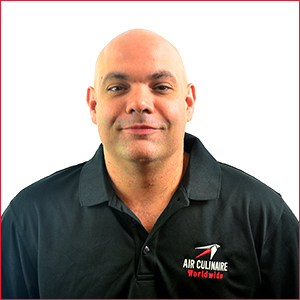 With 10 years of experience in the private aviation catering industry, Erick Arce has extensive experience in all aspects of day-to-day operations. 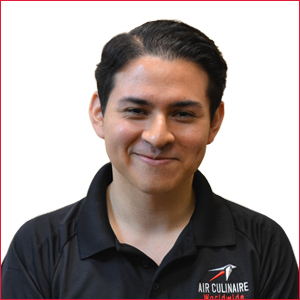 Erick uses his knowledge and experience to guide his team of culinary experts to deliver a flawless and unforgettable catering experience. He works closely with seasoned Executive Chef Sal Lano, a Culinary Institute of America graduate whose culinary accomplishments include such honors as being invited to be the executive chef at the James Beard House Dinner twice. Erick, Executive Chef Sal Lano and the New York / New Jersey inflight catering team look forward to serving you. Air Culinaire Worldwide NY / NJ is a halal-certified in-flight catering facility.